If you want to fly higher, farther and faster, you'll want to earn an airplane multi-engine rating in addition to a private pilot certificate or ​commercial pilot certificate. The multi-engine rating is also a necessary step for any professional pilot on the road to the airlines, and is known to be one of the more enjoyable (and expensive!) training programs you'll endure! 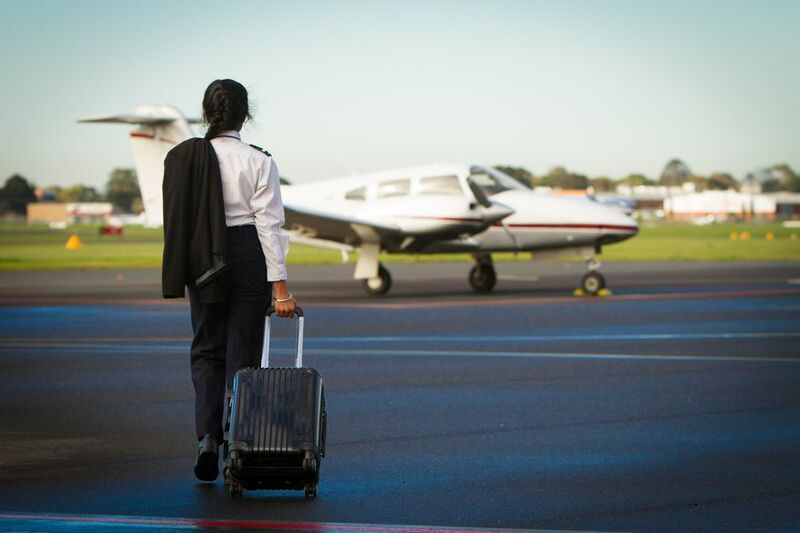 An applicant for a multi-engine rating is typically already a private pilot or commercial pilot. Rarely, a student pilot will choose to obtain a private pilot certificate in a multi-engine aircraft. There is a common misconception that a multi-engine aircraft is "safer" than a single-engine airplane. After all, isn't redundancy a good thing? In most cases, yes; but some twin-engine aircraft can actually be challenging to control when an engine fails. The multi-engine rating, therefore, focuses a lot of attention on aircraft control, performance, and single-engine operations in addition to the usual training topics. Beyond systems, controllability, and performance, a multi-engine rating is pretty simple. While it is more costly to train in a twin-engine aircraft, the training is necessary for a professional pilot, and obviously important for the aircraft owner who wants to gain performance, payload, passenger ​space, and speed. If you've already earned a private or commercial pilot certificate, you'll just need to obtain the necessary training needed for a multi-engine rating, as outlined in the FARs. If you're applying for a private pilot certificate in a multi-engine aircraft, then normal private pilot applicant requirements apply. For instance, you will need to read, speak, write, and understand English, be at least 17-years-old (18 for commercial pilots) and have an FAA medical certificate. There is no FAA written exam for a multi-engine add-on rating; you'll only need to study the multi-engine knowledge (performance, aerodynamics, single-engine performance, emergency operations, etc.) for your check ride. If you're a private pilot applicant in a multi-engine aircraft, you'll have to pass the Private Pilot FAA knowledge exam. ​The Private Pilot Knowledge Exam is 60 questions and applicants are given two and a half hours to complete it. You need a 70 percent score or better to pass. For a private pilot to obtain a multi-engine add-on rating under CFR Part 61, you'll need to be trained on the aircraft's performance and limitations, aircraft systems, performance maneuvers, single-engine operations, spin awareness, emergency operations, and instrument approaches (single engine) if applicable. There are no additional flying hour requirements on top of the private pilot or commercial pilot certificate, except you must have at least three hours in a multi-engine aircraft prior to taking the check ride. After you've demonstrated proficiency in a multi-engine aircraft, you'll probably be ready for your checkride. You'll need to be skilled at flying a twin-engine aircraft with one engine failed, and you'll practice in many different scenarios: take-off, landing, maneuvering, engine failure during an instrument approach, etc. Since you've probably taken checkrides before, you know what to expect: a couple of hours of groundwork for the verbal portion of the exam and a flight is all it takes. For the multi-engine checkride, you'll have to know what to do in many different single-engine scenarios. And don't forget to have your paperwork in order.